Is An Outdoor Fireplace Right For You? 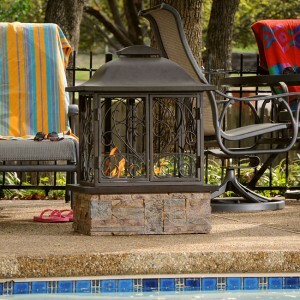 An outdoor fireplace brings several different but closely-related dimensions to your backyard, patio, or pool area. But whether you invest in a traditional wood-burning fireplace or choose one of the more modern gas, gel, or electric models, an outdoor fireplace gives your outdoor area a distinct ambience and charm. And like everything in the great outdoors, an outdoor fireplace brings with it a certain amount of concerns and responsibilities. A few of the most common are listed below. What’s the best place to put my outdoor fireplace? Outdoor fireplaces come in a sweeping variety of sizes, so there’s almost certainly one that’s the right size for the area you have in mind. 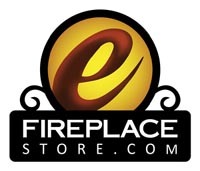 Determining where in your designated area the fireplace will go is also relatively simple. 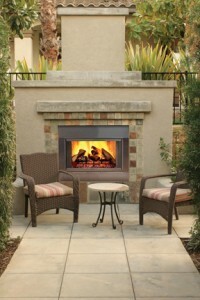 Fireplaces tend to become the centerpieces of wherever they’re placed, whether inside or outside. Consider putting your fireplace in the area that’s the most natural spot for your family and guests to congregate. This can include the edge of a patio or deck, the largest wall of an enclosed porch, or beneath an arbor or pergola beside the swimming pool. 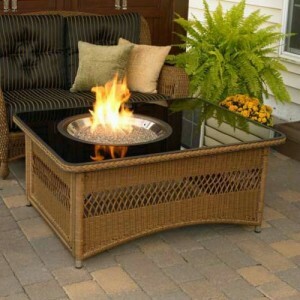 If you’re certain you’re starved for space, consider using a firepit in place of a patio table or conversation centerpiece. You’ll get the ambience and warmth of a fireplace without the comparatively larger space investment. What kind of fireplace should I get? Most model fireplaces burn one of four kinds of fuel: wood, gas, a special kind of flammable gel, and electricity. Wood burning fireplaces are rugged and stately but require more cleanup and maintenance than other models. If you’re looking for the least amount of upkeep, an electric fireplace likely offers you the most convenience. Still, electric models require a wall outlet to operate, and this may narrow your placement options. Gel fireplaces are convenient and are often very compact, meaning they’re easily placed around patio areas and on pool and patio decks. They’re comparatively “cleaner” burning than wood fireplaces but don’t require the same amount of energy as electric models. Can I install an outdoor fireplace myself? Installation requirements vary according to where you wish to put your outdoor fireplace, its model (fuel) type, and even the weather and time of year. Consult the model owner’s manual thoroughly before making a decision. A little research and due diligence will definitely pay off now and in the future. Once your fireplace is installed, you can look forward to years of warmth, atmosphere, and elegance brightening your outdoor area. Summer temperatures mean a bigger drain on appliances like refrigerators and air conditioners. That means a bigger drain on your wallet! The California Energy Commission reports that the average family spends around $1900 on energy costs every year. Now more than ever, home energy efficiency remains an important part of keeping your household financially sound. If you live in an area with cool nights – even in summer – you’re all set to start reducing your energy bill. Once the sun goes down, raise your windows (remember to take any necessary security precautions.) The house will flood with cool air that will help it keep cool the next day. You might also install blinds and curtains to further block air from escaping. If you have a backyard deck or patio, installing a gas or wood burning fireplace helps to reduce your home heating costs while giving you a great new centerpiece for your backyard decor. Remember to clean the dryer’s filter after each use, and only run full washer and dryer loads. Turn off ceiling fans when you leave the room; this saves electricity and prevents wear and tear on the fan’s machinery. Installing an attic fan reduces the heat in your home by drawing in cooler air towards the attic and blowing out hot air. However, make sure your attic entrances are well-sealed, and that your attic has sturdy, dependable ventilation.Remember to close the damper of your indoor fireplace to keep cool air from escaping up the flue. Turn down the thermostat on your home’s water heater to 120 degrees Fahrenheit (the warm setting.) When washing dishes, run full loads in the dishwasher but let them air-dry. Plan to take cooler showers, and reuse hang towels after use to let them dry out. Not to sound too corny, but you’ll save money on cooling your home if you don’t need to use the air conditioner so much. With the children out of school and with a range of summer activities available (not to mention your own summer vacation), summer is a great time to get out of the house. Go to the movies, join a club, or just go to the park and relax. You’ll save money while you have fun. For more money-saving tips, visit the U.S. Department of Energy‘s summer energy efficiency page. Fireplaces aren’t used much in the summertime, but there’s no reason your fireplace and mantel can’t continue to bring beauty and elegance into your home. Left to themselves, unused fireplaces can become a little gray, a little dreary after weeks of neglect. But the hearth is still the center of the home. A carefully maintained and curated fireplace, mantle and hearth can remain a center of home beauty every month of the year. If you watch home renovation shows, you already know the power of candles. Many times, the designers will use tea candles and candelabras to give a newly-redone room extra ambience. 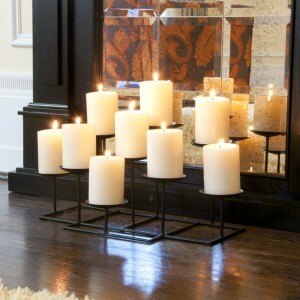 Candles are low-maintenance, low-cost means of adding atmosphere and depth to your living room and fireplace area. 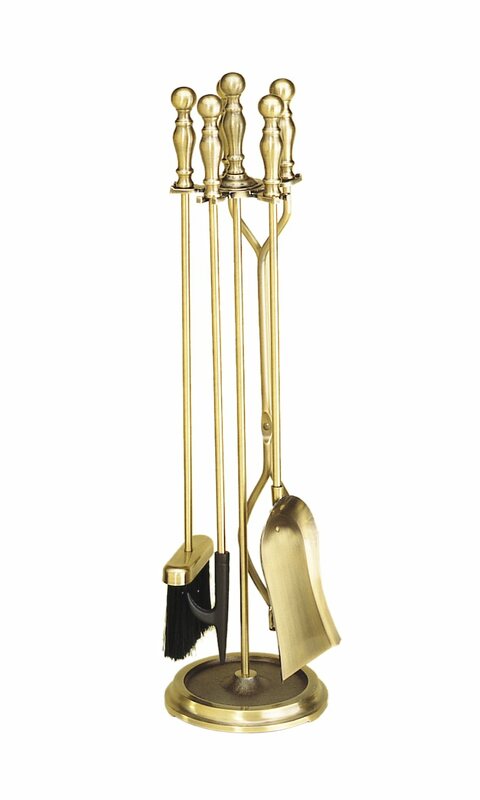 Candelabras, or sculpted metal candle frames, collect candles together for a decorative result that’s far more than the sum of its parts. They’re available in dozens of different styles and motifs. There’s no reason your fireplace accessories have to be purely functional. Firebacks are metal screens that help redirect heat towards the outside of the firebox, but they can be ornamental and decorative, too. Hearth rugs help give your room decorative balance while centering your décor. Like candelabras and firebacks, there are dozens of designs from which to choose. 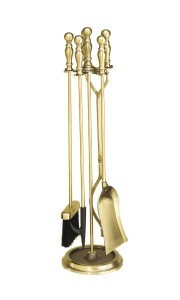 Fireplace tools, of course, serve an invaluable function when the fireplace is in use. But they can also be decorative if finished in brass, chrome, or silver. They’re fully functional while remaining lovely to look at. Summer’s the prime time to hit the patio or backyard deck for barbecuing, relaxation, and spending time with family and friends. And like any part of your home, you’ll enjoy your deck or patio even more when you take steps to renovate and restore its features, providing not just regular maintenance and repair but also adding new attractions that keep its appeal fresh and inviting year after year. If you enjoy your patio or deck mostly at night, adding an outdoor fireplace or firepit is a great way to provide light and warmth as well as all the ambience and elegance a fireplace provides. Many modern firepits serve as islands for entertaining guests around patios and pool decks, and some convert to wet bars – complete with ice cooler pit – with only a simple swap of accessories. Full-sized, outdoor fireplaces are another perfect way to “light a fire” under your patio decor, too, and they’re available to fit most design schemes and aesthetics. These may require professional installation, but definitely pay off. Sheltering one area of your patio or pool deck with a pergola gives it a secluded, exclusive feeling, especially when the pergola’s frame is covered with liana or wisteria to give it a sophisticated yet pastoral sense of intimacy. Pergola areas are also great areas to include a firepit, too, but take care not to keep an open flame near the vegetation. It’s hard to get comfortable and relax if you’re cold. For chilly nights – or just for a little extra warmth after a dip in the pool – install heating towers around your deck or patio. They’ll help create an elegant perimeter around the patio or deck area while providing a sumptuous level of comfort. Installing mosquito traps around the yard’s perimeter will also help keep your yard free of these dangerous pests. A bare, empty deck or patio that’s surrounded but doesn’t include vegetation resembles a parking lot more than a garden. Which would you rather have? Bring full-sized plants such as palm trees and area plants like ferns around the patio furniture and into any empty corners. You’ll create an organic, lively look to the area without spending a lot of money. Remember that many such plants have exacting watering schedules, though, and plan accordingly. If you picture a scenic courtyard in Europe or even New Orleans or Manhattan, you probably include a fountain in your mental image. Garden and patio fountains bring tranquility and Old World charm to their surroundings, and can also serve as goldfish ponds to give your area extra life. For a more contemporary touch, waterfalls use modern technology to replicate the world’s original relaxation effect in a compact, energy efficient setting. Waterfalls, like firepits and fireplaces, are available at home renovation warehouses and at sharp discounts when purchased online.